Computer Science encompasses both the theoretical and the practical aspects of the study of computers and algorithmic processes. 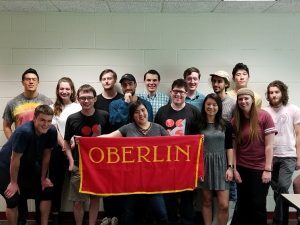 Students majoring in computer science at Oberlin are prepared both for further graduate studies in the discipline and also for careers in the industries and businesses that actively recruit computer scientists with a liberal arts background. Computer Science at Oberlin is taught within the context of a liberal arts degree, with emphasis on the lasting principles of the discipline rather than on specific training in particular tools and techniques. 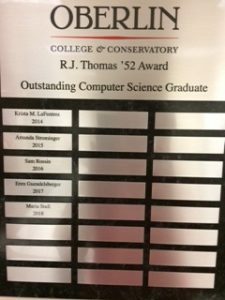 The CS Department stresses the fundamentals of computer science while maintaining a highly current and relevant curriculum utilizing state-of-the-art methodologies and tools. 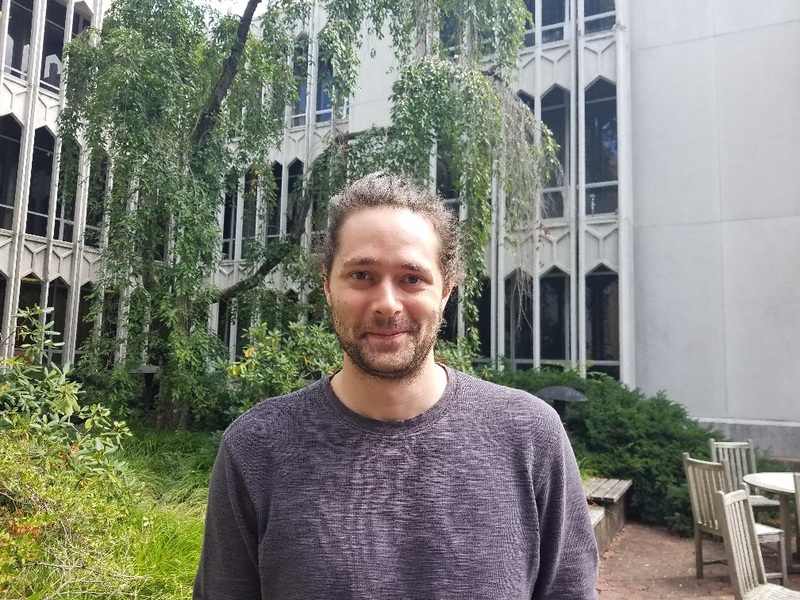 More detailed information about the Computer Science major and minor and a complete list of courses can be found in the course catalog. 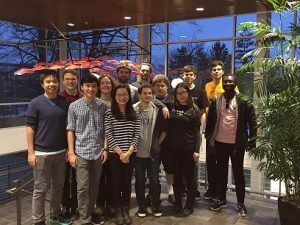 We sent 8 teams to the Denison ACM Programming contest on March 2. • There were 21 teams total and we had three teams place in the top five: Jakob Cornell, Anders Cornell, Julia Cornell, David Hansen) placed 2nd. (Seraphina Gibson, Adina Johnson, Sage Vouse, Jad Seligman) placed 4th,(Colton Potter, Minh Lam, David Gold, Khang Nguyen) placed 5th. All 8 teams solved at least one problem. Congratulations to all our participating students. Great Job! 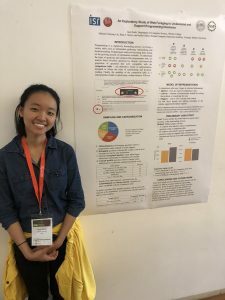 Jane Hsieh presented her work at the Oct. 2018 IEEE Symposium on Visual Languages and Human-Centric Computing in Lisbon, Portugal. She discussed creating a web framework to support programmers in making and documenting decisions. 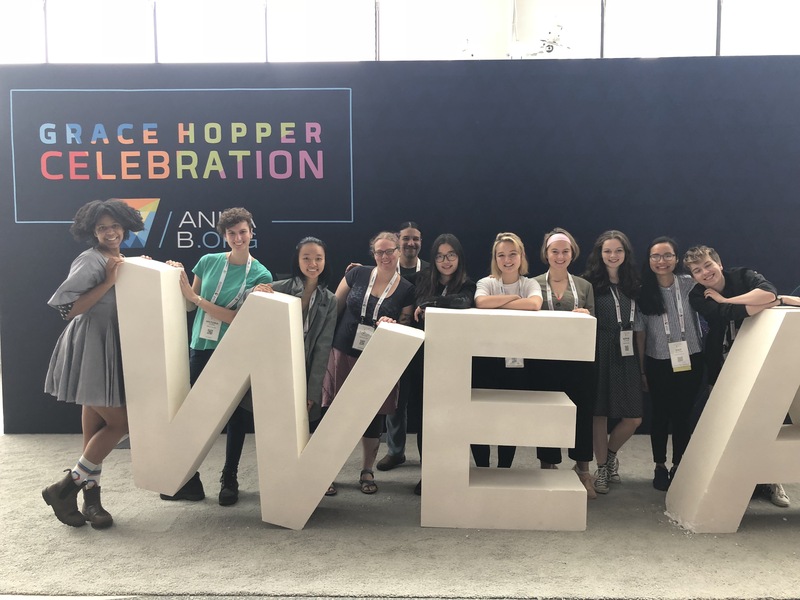 Professor Hoyle and Professor Taylor along with 11 of our CSCI Majors attended Grace Hopper 2018 in Houston. 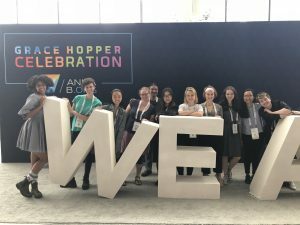 The Grace Hopper Conference (GHC) is the world’s largest gathering of women technologists, and has been held annually since 1994. Join us in Welcoming Christine Antonsen ’15 on Friday, Oct 5, 3:30 King 101. Christine will discuss her path to GEICO after OBERLIN. 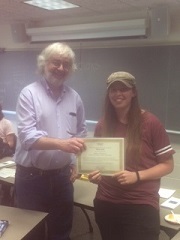 Christine is a 2015 graduate of Oberlin College with a degree in Mathematics and Computer Science. After graduation she joined GEICO in their Emerging Leaders program, and is now an IT Team Lead overseeing two scrum teams working on the big data platform. Her teams leverage big data to personalize customer experiences and make GEICO’s business more efficient. Christine founded and serves as a co-leader for InPower, an internal group dedicated to supporting women’s growth and development in IT. She’s also on GEICO’s planning committee for activities at the Grace Hopper Conference. In the evenings, Christine has been pursuing her MBA from the University of Maryland and graduated this September. Recently, Christine won the Women In Technology’s 2018 Rising Star Leadership Award. 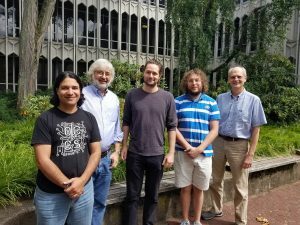 Join the Computer Science Department along with the Math Department for and Ice Cream Social. Congratulations to CSCI Senior Yasmeen Mussard-Afcari who has been selected as the Keynote Speaker at the Senior Symposium Friday, April 27. Yasmeen Mussard-Afcari ‘18 is a double major in Africana Studies and Computer Science and a Mathematics minor who will graduate with honors in Africana Studies this May. Yasmeen plans to pursue graduate studies in computer science, continuing her broader research goals of utilizing theoretical computer science to advance a more just world. Yasmeen will present her and Dr. Eck’s research at the Data Justice Conference in Cardiff, Wales this summer. Applications open now – use above link. 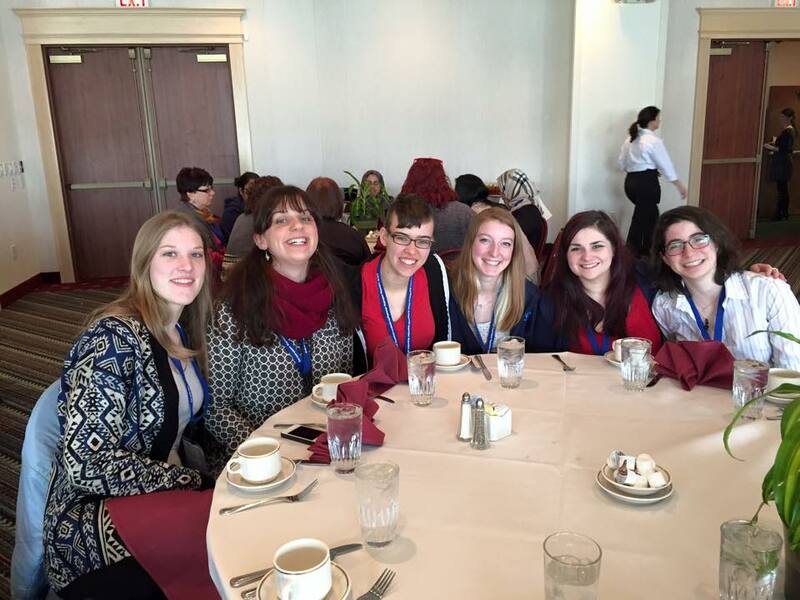 Fellowship Program – A national program for undergraduate college women interested in careers in tech. 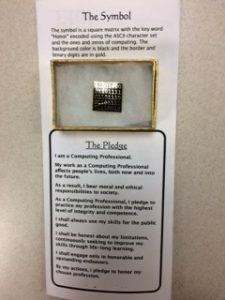 The Rewriting the Code Fellowship Program is for women undergraduates studying computer science and engineering who are interested in gaining applied experience through potential internships or full-time jobs with leading tech companies. Want to hear the latest technology resources being used in Computer Science and IT? Join us Saturday, April 14th from 12:00-4:00 pm at Hyland’s Building 3 to hear from Hyland employees. This event will provide insight into latest research, workshops to enhance your technology skills, and the opportunity to network with our employees. Free lunch and parking will be provided. RSVP to reserve your spot today! use above link to register. Doors will open at 11:30 am on Saturday, April 14th. Bring a friend and join us! 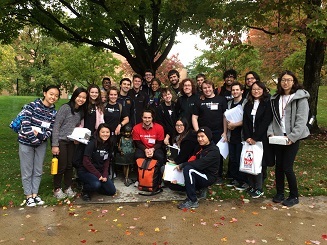 This year, 16 teams from 6 schools (Baldwin-Wallace, Denison, Oberlin, Ohio Wesleyan, U of Akron, and Wooster) competed in this 4-hour contest. 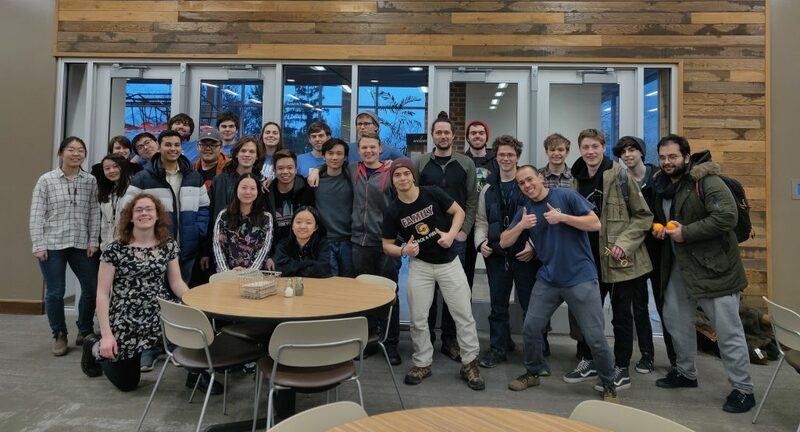 The “Oberlin ‘);DROP TABLE Teams;–” from Oberlin won the contest, solving five problems. Coming in second was “Black IDE Peas” from Oberlin, also with five problems solved. Congratulations to Adam Cooper, Anders Cornell, Jakob Cornell, and Helen He on a strong showing! 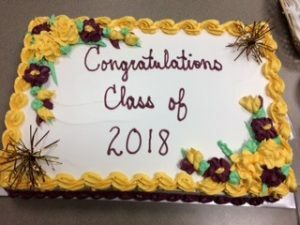 Congratulations to all the students who participated. Final Standings with breakdown of problems submitted and solved for each team. The problem set and judge’s data can be found in the contest archives.